Do you know how to make sure your kids are safe while using personal devices? If you aren’t sure that content is being filtered, if you want to keep tabs on who your kids are texting, or if you need to limit the amount of time your kids spend glued to their screens, I recommend using a parental control software that will let you monitor and supervise your kids’ activities on all of their devices from one place. I have the top five picks for the best overall parental control software options to install on your kids’ devices, plus a few extra recommendations for specific types of monitoring. All of these choices give you as parents the tools and resources to manage your kids’ screen time and feel confident that they can spend time online safely. In the top spot is the Norton Family Premier parental control software, which you can install on Android devices, iOS devices, and Windows PC (but not on Mac OS computers). You can monitor your children’s activities through an online portal or from the parent mobile app (Android only). After creating an account, you can add an unlimited number of child profiles with default settings and “house rules” that apply to each profile based on the user’s birth year. From the parent dashboard, you can see reports on your child’s online activity and how their time online is spent. You can also adjust user settings and website filtering categories. Norton Family Premier has all the parental control features you expect, plus a few extras that helped it earn the number-one spot on this list. Because each type of computer and mobile device has different specifications, not all features will work on every device. The only feature that’s lacking on all devices is phone call supervision, so you’ll have to check your child’s call history and contact list separately if that’s a concern for you. Web content filtering: Set content filters based on 47 categories (the most I’ve seen) and receive alerts when your child tries to visit a blocked site. Time limits/scheduling (PC and Android): Set time limits for each device and create a day-by-day schedule of approved usage time. The device cannot be used outside of the schedule or after the time limits have been reached. You cannot set individual time limits for specific apps. App supervision (Android): View and block installed apps. You won’t get a notification when someone downloads a new app, so your children can access new apps until you block them. Text message supervision (Android): Monitor the default text messaging app and approve/block texting contacts. Social network supervision (PC only): Monitor how frequently children log in to Facebook and track the name and age listed on their profile. Search supervision (PC and iOS): Enable safe search features on common search engines (Google, Yahoo, Bing, etc.) and view the terms searched for on a device. Location tracking (Android and iOS): Enable GPS tracking for smartphones to see where your kids are. You can also see a 30-day history. Video supervision (PC and iOS): See a record of videos watched on Hulu (PC only) and YouTube. Personal information protection (PC only): Enter your child’s personal information into the Norton Family controls and receive a notification if your child attempts to share that information online. Instant Lock (PC and Android): Remotely lock all of your child’s devices that are online. You can also set allowed emergency contacts for phones. Norton Family Premier costs $49.99 per year for 10 devices, though Norton Security Premium (available on Amazon for $39.99) includes a subscription to Norton Family Premier as well. I found mention of a free version of Norton Family with limited features, but when I chatted with a sales rep, I was told that Norton Family Premier is the only version currently available to download. What I especially like about Norton Family is that it encourages parents to use the monitoring information to keep an open dialogue with their kids about online safety and responsibility. I wish that some of the unique features were available for all device types, but overall, I was impressed with the high quality and thoroughness of the parental controls, as well as the range of monitoring features Norton Family Premier offers. Customer support is available through a live online chat, over the phone, and in online community forums. Our second-place choice, Qustodio Premium, came very close to beating Norton for the top spot. Qustodio is available on more device types, including Android, iOS, Windows, Mac OS, and Kindle devices, and its controls give you a little more flexibility than Norton Family. However, Norton Family has a much better price point (almost half as much as Qustodio for 10 devices), live customer service, and a mobile app for parents, so it edged out Qustodio for the top spot, but only just. Setting up Qustodio is quick and easy. The reporting features give you a complete list of web activity and applications used, as well as how much time was spent on each one. The amount of information is much more than you need to see, but you can choose what you want to view. You’ll also receive email notifications for any flagged activity, like an attempt to enter a blocked website. You can adjust all the filters and settings from the parent dashboard, and I found that any changes will take effect within a few minutes. Qustodio offers all the basic parental controls features you’d want, plus some extra flexibility (like setting a time limit or schedule for a single app). Many of these features are limited or modified on iOS devices, and some are available on only one type of device, as noted. Web content filtering: Websites are filtered and blocked using 29 categories, and each web page is analyzed in real time for inappropriate content. Specific websites can be blacklisted or whitelisted as needed. Time limits/scheduling: Set a time limit for each device or for each user across all their devices and set a schedule of approved usage hours. You can also set time limits for individual apps. App blocking: Block apps completely or set a schedule for specific apps. You can also monitor games through this feature. Note that iOS devices are limited to a specific list of apps that you can find here. Phone call/text message supervision (Android only): See a record of all calls and texts and block or approve phone contacts. Social network supervision: Get reports on Facebook status updates and shared photos using a separate Facebook monitoring app. 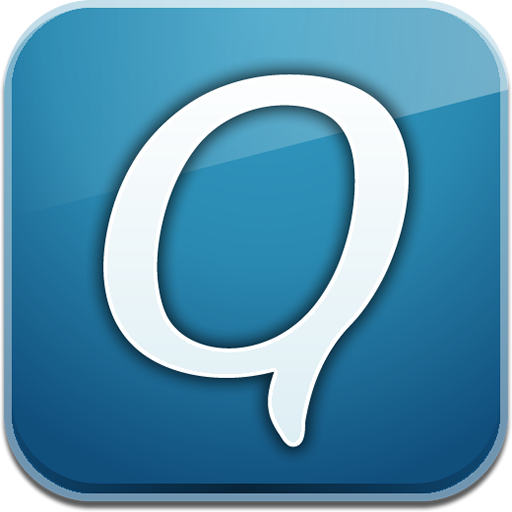 Children have to install the app in order to use Facebook once Qustodio has been installed on their devices, which is a great way to ensure they will use it. Search activity: Review all terms your children enter into search engines on the device. Location tracking: The location of your children’s devices updates once per hour by default, but you can adjust the settings as needed. Panic button (Android only): Receive location alerts in an emergency. Lock access: From the parent dashboard, you can choose to block your kids from using the internet, or you can lock them out of an entire device. If you choose to lock an iOS device, the internet and all apps that are categorized 4+ in the app store will be disabled. Stealth mode: Choose to hide Qustodio from the device user. The Qustodio software is available for $87.95 per year for 10 devices, which is average for many comparable softwares but is almost twice the price of the top pick. Qustodio also offers a smaller package ($49.95 per year for five devices) and a larger one ($125.95 per year for 15 devices), so you can choose the best fit for your family. There is a free version of Qustodio, but it’s for only one device and is missing several key features, including phone call and text message monitoring, location tracking, and setting time limits by device. One thing that sets Qustodio back is the lack of live customer service—you can only reach customer service through online email forms, not over the phone or in a live chat. However, in almost all other respects, Qustodio matches or exceeds the top pick. I highly recommended it as a way for parents to monitor their children’s online activity. 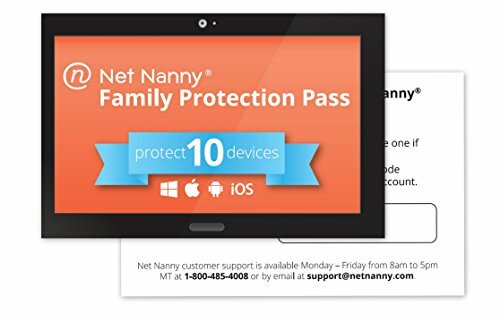 The Net Nanny Family Protection Pass is a great way to protect all Android, iOS, Windows PC, and Mac OS devices in your home. Net Nanny has been around since 2001 and is known for its internet filtering, which is definitely the best feature of the Family Protection Pass. Each profile is automatically assigned age-based settings and filters as you add it to your account. In addition to customizing the filter settings, you can also whitelist and blacklist specific websites and give older children a warning instead of blocking a site completely. There is no mobile app for parents, so you can only access the admin console online. From there, you can see all the users, their devices, and reports on their usage and activity for the last 30 days. Net Nanny has most of the parental control features I look for—however, it is missing some basics, most notably phone call and text message monitoring. Its strength is in its website filtering capabilities, specifically the profanity masking feature, which makes it a good fit for children and preteens. Web content filtering: Net Nanny has a robust filtering system for online content and uses real-time analysis of web pages instead of relying on the category settings. It filters secure HTTPS traffic, even if you allow anonymizing proxy sites that can fool content categories. For iOS (and recommended for Android), you have to install the Net Nanny browser to use these features. Time limits/scheduling: Scheduled hours for use are set per user, not per device, and time is measured in half-hour increments. You cannot set a daily or weekly time limit for users, devices, or apps—however, you can unblock an app directly on a device for 30 minutes of access, which is a great method for rewarding kids. App blocking (Android only): You can block apps, including the Google Play store, that are already installed on the device. New apps are blocked until parents approve them. Social network monitoring: Net Nanny is limited to monitoring only your child’s Facebook activity. A separate product, Net Nanny Social, can do much more (see below for details). Profanity masking: The website filters are detailed enough to mask profanity with punctuation symbols instead of blocking an entire web page that would otherwise be acceptable. Net Nanny is the only software I looked at that offers that feature. The Net Nanny Family Protection Pass is priced similarly to the number-two pick, Qustodio. A license for 10 devices is $89.99 per year, with options for five devices ($59.99 per year) and 15 devices ($119.99 per year). The Family Protection Pass also comes with a free one-year license for Net Nanny Social ($19.99 per year value), which you can read about below. Another point in Net Nanny’s favor is that you can reach customer support via phone, live chat, and email. I got an email response back within the same day, but I found it difficult to get through to someone in the live chat. The biggest drawbacks to the Net Nanny Family Protection Pass are that it doesn’t provide any phone call or text message monitoring and has no location tracking for phones. However, I liked all of the features it does have, especially the profanity masking, reward time for apps, and the fact that new apps have to be approved by parents. Net Nanny’s real-time website filtering is its greatest strength, especially if online content is your main concern. If your family uses many different types of devices, Mobicip Premium may be the filtering service for you. The biggest advantage of Mobicip is its wide range of device compatibility, including Android (including Kindle and Nook), iOS, Windows PC, Mac OS, and Chromebook. That’s more than any other software I looked at, including the other top picks on this list. As you set up the user profiles for your family members, select one of four filtering levels: Strict, Moderate, Mature, or Monitor. As with other parental control software, kids can request access to blocked websites, and you can adjust the settings as needed. The Monitor level gives the user unrestricted internet access but records and reports all usage, so you can give your kids some accountability for their online behavior. You have the option of managing your kids’ profiles online or from a mobile app, which is extremely useful for parents who are not at home with the kids all day. Mobicip Premium includes the basic parental control features but focuses mainly on online filtering and monitoring without many additional features of other products on this list. Web content filtering: Customize the settings for each profile and choose which categories to use.You can also blacklist or whitelist specific websites, or even blacklist specific phrases or keywords. Like Net Nanny, Mobicip uses its own browser and real-time analysis of web pages to filter secure HTTPS sites. On Android devices, all other browsers are automatically blocked, but iOS browsers must be restricted manually. Time limits/scheduling: Set a schedule for each profile that applies to all associated devices. There are no daily or weekly time limits. App monitoring: See which apps are being used and review the price, rating, and app store category for each one. On Android devices, you can add a passcode to individual apps that must be entered before a child can use them. Online search activity: Review browsing history reports on the parent dashboard or in an email. Mobicip Premium is $39.99 per year for just five devices, which is comparable to the cost of Net Nanny or Qustodio. However, you can create an unlimited number of profiles, and a computer (Windows PC/Mac OS) counts as one device, even if there are multiple user accounts on it. The free version of Mobicip is essentially just a browser with advanced content filtering features, making it a great option if your only goal is to filter online content and you don’t want any reports, customization, or scheduling options. Mobicip Premium is a good option for parents who want just the basic parental controls. The focus here is on content filtering and monitoring, mainly through Mobicip’s browser—additional features are lacking. Additionally, there is no live customer support except through email, though Mobicip offers customers an extensive online database of help resources. The bottom line is that what Mobicip Premium does, it does very well, but features are limited. PhoneSheriff specifically focuses on monitoring your children’s phone activity, and as such, it is available to install on only Android and iOS devices. Because teens and older children are more likely to be using a phone rather than a computer as their primary device and because PhoneSheriff does more than just monitor phone calls and texting, it earned a spot on the list. The parent control panel is accessible online, which means there is no mobile app. However, you can adjust settings and filters from the control panel or from the device itself, which is often more convenient and not a feature all products have. From the control panel, you can view all internet usage and phone activity for each device. PhoneSheriff monitors a lot of information, so be sure to customize the kinds of activity alerts you want to receive. PhoneSheriff includes all the same basic parental control features as the other picks but, unsurprisingly, really shines when it comes to phone call and text message monitoring. It also tracks photos and music on your child’s phone so you can keep tabs on more than just who they are talking to. Web content filtering: Filter online content by category or block specific websites. Time limits/scheduling: Set a schedule for when your kids can use their phones. You can choose to lock either the entire phone or just the calling function. App blocking: See all installed apps and block any of them. Phone call monitoring: View phone contacts, including new contacts, and block phone numbers for both calling and texting. The phone number and time of every call made and accepted by the device are logged. Text message monitoring: Log the content of every text sent or received through the default texting app, including deleted texts. The program has some filters for texting, including a profanity alert if your child tries to send a text message with profanity in it. You can also set a daily text limit for the device. PhoneSheriff can monitor WhatsApp on iOS devices. Location tracking: Receive updates your child’s location every 30 minutes. You can send an SMS text to get coordinates back for instant tracking (the monitored phone doesn’t show the text). A geofencing alert notifies you when the phone travels beyond set boundaries. Panic button: Receive an alert on both Android and iOS devices in an emergency. Phone activity monitoring: View calendar events and photos taken on the device. Lock access: Remotely lock the phone and wipe information from it. In spite of the extensive controls regarding texting and calling, the price of the software brings the overall value down a bit. The $89-per-year price tag is similar to the other products on the list, except instead of 10 devices, you get only three. PhoneSheriff does have very responsive customer service with a live chat option as well as an online email form. Because of the focus on calling and texting, other aspects of the parental controls are lacking, including social media monitoring. Though there is content filtering in place, it is not as extensive or effective as other products. The number of monitored activity items can also become overwhelming, and users report that the installation process is a bit cumbersome. However, if you’re concerned about the amount of time your child spends texting or on the phone, this is an excellent product to supervise your child’s activities. If you don’t need the full functionality of the above recommendations, consider using something that simply restricts your children’s screen time and monitors their activity in a more limited capacity. Parents who have other controls in place but want to limit how much time their kids spend on their devices should consider a time limit and activity monitoring app like Screen Time Premium. It can be installed on both Android (including Kindle) and iOS devices, and it monitors and limits the amount of screen time kids get. There is a basic free version, but it only gives you options to monitor how your kids are using their devices without being able to set time limits, so I recommend using the Premium version. There are four main settings you can activate: a daily time limit, bedtime hours, school hours, and apps that are blocked all the time. Be aware that there are some differences in how these settings work for Android and iOS capabilities. Daily limit: Set a daily time limit for weekdays and the weekend for each child’s profile across all devices. For Android devices, you decide which apps count toward the time limit and when the limit has been reached, those apps will be blocked (especially useful for games and social media apps). For iOS devices, individual apps cannot be tracked, so the time limit is for the entire device. Bedtime hours: Set a schedule for turning off apps at night. On Android, you choose which apps are blocked at Bedtime (perhaps everything except an e-reader app), and then all apps are blocked at the Lights Out time. For iOS, all apps are blocked at Bedtime. School time hours: Blocks apps during set hours on weekdays. As with the Bedtime hours, all apps are blocked for iOS devices, but you can choose which apps to block on Android devices; for example, you might let a child use the calculator during school hours. Blocked apps: This is an Android-only feature and blocks selected apps all the time. This feature is especially useful for blocking something like the app store. If your child tries to access an app that is blocked during the day, they’ll get an option to choose a currently approved app instead, or you can temporarily allow the app or change the settings for that app. Additionally, you can “pause” a device for a set amount of time and temporarily block all apps—for example, for 30 minutes during dinnertime. You can also remove all time limit settings for a short period of time (perfect for long car trips). I found that changes made from the parent dashboard take effect very quickly and effectively. You can view each child’s activity in real time on the parent dashboard and review the apps used and browsing history for each device. The dashboard can be accessed online or through a mobile app. One feature I liked is that parents can set a list of tasks and rewards for each child’s profile. The tasks might be something like “Finish homework,” and the reward may be 10 extra minutes of screen time. Screen Time Premium costs $3.99 per month or $39.99 per year. While that may seem like a bit much for an app that only monitors your child’s activity, keep in mind that it is for an unlimited number of devices per child. The bottom line is that if the Screen Time Premium service fits your needs, it is a great investment for tracking how much time your kids are spending on their devices and encouraging healthy habits. Net Nanny Social is one of the very few social media monitoring services I’ve found that does more than check on Facebook activity. Net Nanny Social is priced at $19.99 per year and does not limit the number of children or social media accounts it monitors, no matter what device they’re on. Net Nanny Social monitors six different social networks regardless of the device used or how the internet is accessed (3G/4G, Wi-Fi, home network, hotspot, etc.). Net Nanny Social monitors the content and language used on these sites and flags harmful language, sending a notification to parents. Net Nanny uses eight different filter categories to identify harmful language, and you can add any words or phrases to flag. In addition to alert notifications, you receive emailed reports with the number of identified threats, and you can view all activity from all of the sites in the online parent dashboard. One potential drawback to Net Nanny Social is that it requires some cooperation from your kids: you need to enter their account information for each social media site in the dashboard in order for Net Nanny to monitor them. Also, expect some lag time between new activity on a social media platform and when you are notified about it. However, if you want to stay up to date with your children’s social media activities, Net Nanny Social is one of the best tools. Another option for parents is to add parental control services to your phone plan through your cell phone service provider. Every provider provides some free controls with your account, but there are additional paid services that can help you monitor what your kids are up to on their phones. None of these options are as thorough or extensive as the software choices listed above, but they are easy to access and use and are relatively inexpensive. Here’s a quick rundown of each phone provider’s parental control services. Family Base ($4.99/month): This app lets you view your kids’ usage activity (texting, phone calls, and phone contacts), set limits, and implement time restrictions. Once the companion app is downloaded onto your kids’ phones, you can get insights into their app usage, add money to their accounts for app purchases, or lock their phones from yours. Family Locator ($9.99/month): This app sends you notifications about your family members’ phone locations. You can set up daily or weekly schedules and get estimates on how fast a family member is driving (which is especially useful for teen drivers). Smart Limits ($4.99/month for one line; $9.99/month for up to 10 lines): Use this app to block data use; remind your family members to switch to Wi-Fi when a set amount of data has been used; set limits for texting, calling, and purchases; and block calls or texts. Family Map ($9.99/month for up to 10 lines): With this service, you can see the locations all of your family members’ phones, get alerts when your kids leave or arrive at specific places, and see a location history for each phone. Family Map can help locate a lost phone as well. Mobile Controls ($4.99/month; parent app available for only Android phones): See details about your child’s phone usage, including who your children are calling and texting and what apps they are downloading. You can also lock their phones, set a schedule to lock the phone during school or at night, and create a list of approved contacts. This service also allows you to set alert notifications for behaviors you might be concerned about, such as your child texting or calling an unknown number or using the phone during school hours. Family Locator ($5.99/month for up to five lines): See where your family members are in real time and set up safety checks that automatically notify you of a child’s location at specific times. Family Allowances ($4.99/month): This service allows you to set a limit on phone calls and text messages, give kids an allowance to spend on apps and games, create a schedule for when kids can use their phones, and set up phone numbers that are either always allowed or always blocked. FamilyWhere ($9.99/month; parent app available for only Android phones): This app lets you locate other phones on your account and receive text notifications when your kids visit new places. Regardless of how screen time works for your family, you want to know that your kids can browse, play, and text safely. Even though installing parental control software on your kids’ devices may sound like a lot of work, it’s worth the time to easily filter and monitor their activity while you teach them about safe online behavior and healthy screen time habits.